According to a recent study by BI Intelligence, “mobile is growing faster than all other digital advertising formats in the US, as advertisers begin allocating dollars to catch the eyes of a growing class of ‘mobile-first’ users.” This fact isn’t all that surprising considering mobile advertising has been around since the first mobile phone became ‘smart’ after connecting to the internet. 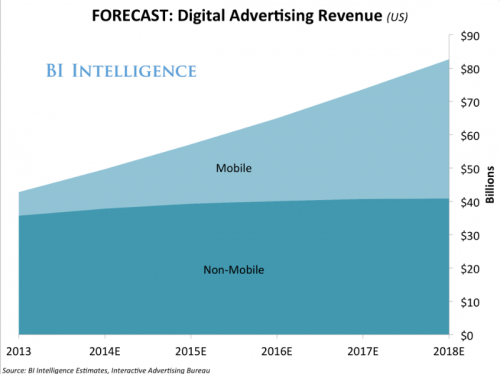 However, in the last 18 months, three factors have contributed to the explosion of advertising monetization on mobile devices. The worldwide growth of mobile phone / tablet usage, an increase in Top 500 brands looking to spend advertising dollars in the mobile space, and new emerging technologies which allow ads to integrate seamlessly into mobile applications resulting in great user experiences. hasn’t been a better time to do so. As mobile advertising networks look for mobile publishers to fill their advertising requests, publishers with highly trafficked mobile games with engaged users are in demand. There is no definitive number of mobile advertising networks operating today but if I was judging by my LinkedIn requests alone, I would say there are hundreds, if not thousands, with new networks entering the market all the time. If you are looking for a starting point, ThinkGaming has a list. 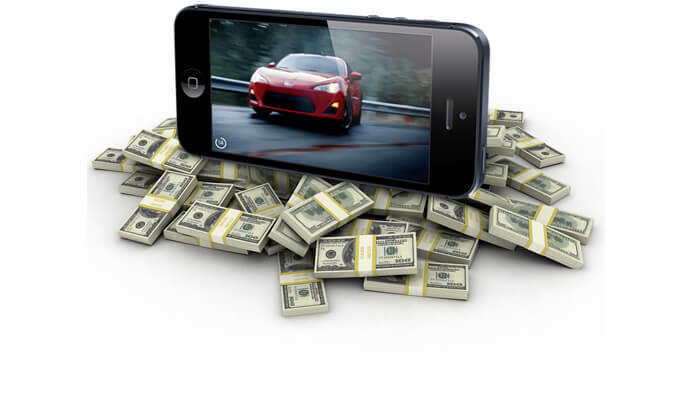 The two most lucrative types of mobile ads to publish within your mobile game are Top Fortune 500 branded content and mobile install ads; a type of advertising that entices a user from within a mobile app / game to download another mobile app / game. 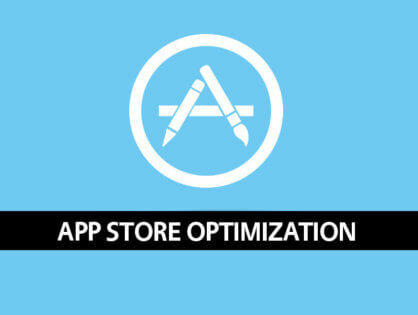 In fact, eMarketerstates that “U.S. app install ad spending totaled $1.67 billion in 2014, or 8.7% of all mobile ad spend, and expect this to reach $3.00 billion this year. That figure is an 80.0% year-over-year increase, yet still only accounts for 10.4% of all mobile ad dollars.” Mobile app install ads are continuing to grow and publishers need to take advantage of this trend or risk leaving dollars on the table. This leads to a very important question, how can mobile game publishers grab a piece of this financial windfall? Any mobile game publisher can put ads in their games but the most successful mobile game publishers are combining four essential factors to maximize ad monetization in their games. The highest paying mobile ad networks are looking for mobile game publishers who have games that are highly trafficked by engaged quality users. They want to work with publishers who have games that have DAUs (Daily Active Users) in the millions. They also want to work with publishers who are actively working on new mobile content which will feature more in-game advertising. The more games the publisher produces with high DAUs the more ad impressions they can generate for the ad network. By working with mobile game publishers who can guarantee a large amount of mobile user traffic, mobile ad networks can use this prime mobile real estate to pitch top brands which usually means more money for the ad network. This is the bottom line, is if you make a great game that attracts DAUs in the millions, the ad networks will find you. Today’s mobile users are smart, they understand that when they download a free game they will eventually have to pay somehow, whether that means buying in-app items or having to deal with ads. There is a fine line between monetizing a user base with ads and showing them too many ads so that they become annoyed and don’t return to the game. Mobile game publishers need to maintain a great user experience that keeps their users coming back so that they can continue to monetize and by accomplishing this, ad networks get exactly what they want; quality users who are engaged with their ads. By showing the right type of great looking ad, (video, interstitial, banner, native, etc.) at the right frequency, and at the right time, publishers can maximize their revenue without ruining the user experience. In general, the better the ad network implementation, the better the user experience, and the higher the revenue for the advertiser, the publisher, and the ad network. In order to give a great user experience, it is essential to work with great ad networks. But what’s defines a great at network? First of all they serve up great looking content. Whether they have HD video, native ads that blend into the user experience seamlessly, or eye-catching interstitial ads; top quality ads mean a top quality network. Another important factor are the types of brands they are promoting in their ads. Will these brands resonate with your user base? If your user base is engaged (clicking and installing the mobile app) with the ads and not annoyed, it will result in more revenue. The territories that the ad network covers is also very important. If the publisher’s users are primarily US based it is important to align with ad networks that have traffic from the US. The last factor is inventory, is the ad network large enough that it has enough advertisements lined up to fill a certain number of your ad impressions at your desired eCPM (effective cost per thousand ad impressions)? Working with quality ad networks usually means that you will be serving great ads in your games and having great ads which resonate with your user base will generate more revenue. It wasn’t too long ago that a mobile game publisher would get a phone call from an ad network selling them on great eCPM and revenue, spend money integrating their ad network into their game only to find that the numbers just didn’t add up. If they wanted to switch to another network they would have to spend more money to rip that SDK (software development kit) out and try another network. Also, if you have a great mobile game title generating a lot of impressions, the chances that an ad network will be able to fill all your ad inventory at a great price every time is very slim. With a mediation layer these issues are solved. Publishers now have the ability to add a number of ad networks to their mobile game and prioritize the best ones with a click of a button, saving time and money. Mediation layers allow the publisher to optimize the waterfall so that the best and most lucrative ads are being shown to the user. If an ad network can’t fill an advertising slot for whatever reason the mediation layer triggers the next ad network in the waterfall and so forth until the ad is filled. Mediation layers also allow publishers to segment their network by region to maximize their income. Also, the best mediation layers have real-time bidding marketplaces that compete to fill every impression that the mobile game serves. 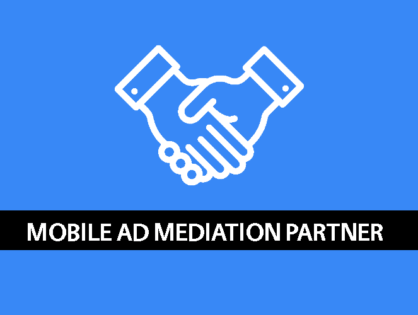 Having a flexible mediation layer is an essential tool to maximizing ad monetization revenue. By concentrating on each of these 4 key factors, mobile game publishers can take advantage of the growth of mobile ads and maximize their revenue with ad monetization.